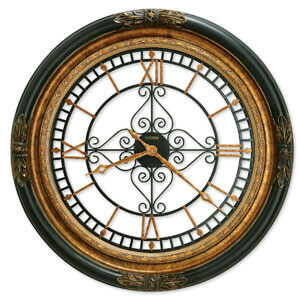 This dramatic 37" wall clock is finished in Black Satin with gold highlights and features a "carved" rope and leaf motif with an inner ring finished in aged gold. 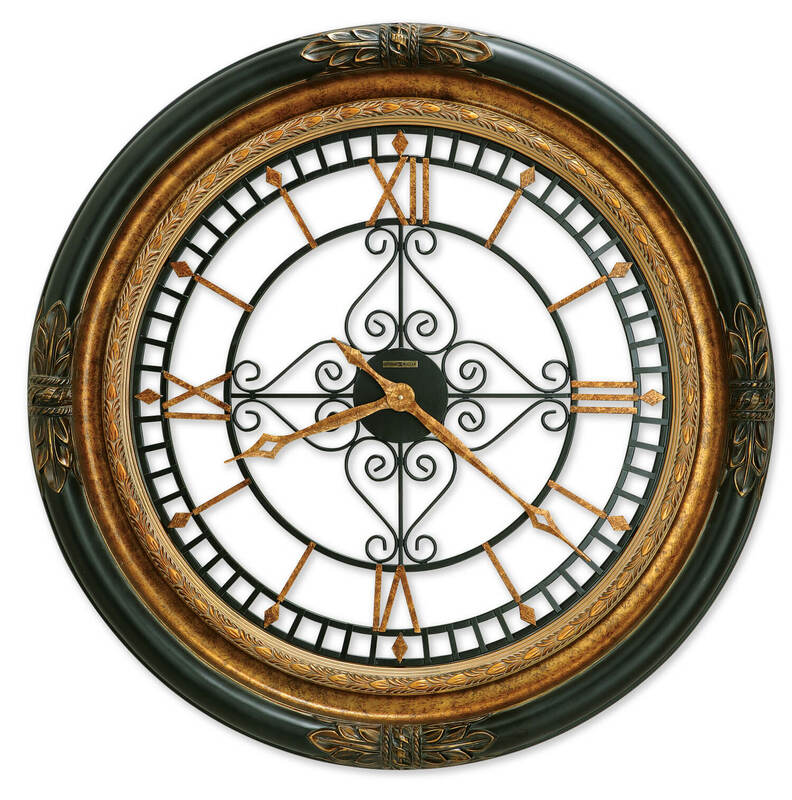 The wrought-iron dial with center scroll decor offers applied Roman numerals, markers, and open fret-cut, diamond shaped hands finished in aged gold. You will save $195.00 (30 %) on this Howard Miller Rosario 625-443.